For many years the team at GulfSport Racing have used DataLoggers when trying to find time on track. In fact it still amazes us when young aspiring drivers come to us for training and have never seen a data trace before. They see the light after a few sessions on track and data de-breifs, and find out how easy it is to improve with a data logger, when you have some guidance. So, one of the problems with data loggers is being able to use the data that you download. Its all very we’ll having a fancy logger if you cant really use it. At GulfSport Racing we believe in not just selling and forgetting. When you buy from us you are not just buying a product but also the service that comes with that. So we are offering a 2 hour session with GulfSport’s Martin Hope to go over for data at the track, show you the fundamentals of interpreting performance data an how to get the most out of it. This will be free for anyone who buys an AIM data logger from GulfSport Racing. "I believe that in two hours I can explain the fundamentals of interpreting data, showing some examples of where time can be normally found and configuring the data software to give the most information without being confusing." Says Martin. Its actually pretty simple to get up to speed with the Race Studio software and after learning how to focus on some key performance indicators, you can track your progress and use the data to make informed decisions on what to try next on track. Another mis-conception is about how hard it is to install a data logger. Back in the day this may have been true, needing to lay a whole sub loom of sensors was not easy. But now its a easy as plugging in your phone to a car charger. 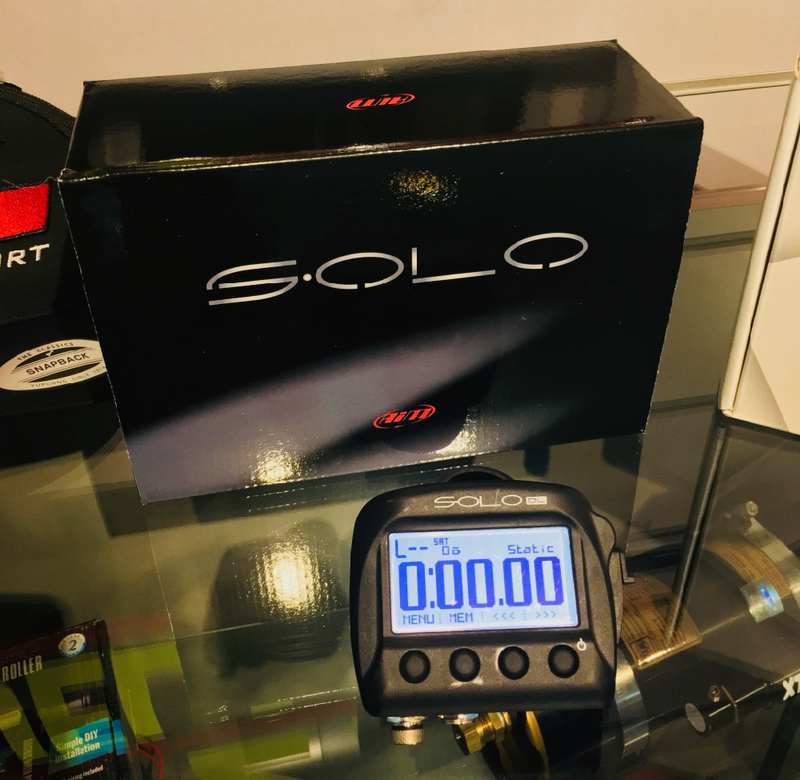 Well thats true of the AIM Solo DL logger, just plug in the supplied OBD cable, select your car from the list of hundreds of Road and Racing ECU’s and away you go. The unit is battery powered and has an built in GPS beacon. With the combination of GPS and the ECU input you have you self a pretty sophisticated data logging system, showing lap times, track map, split time, brake pressure, speed etc etc. 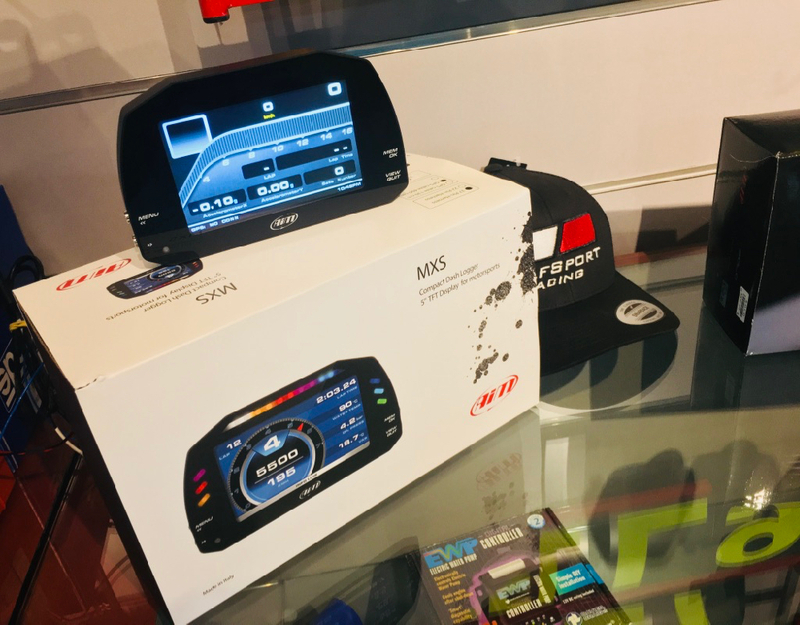 On from that is the likes of the AIM MXS dash, even with this it can be as simple as connecting power and two CAN wires, you then have a fully customisable LCD dash board and powerful data logger. The complete MXS dash logger system sells for under AED 10,000 making it very competitive compared to MOTEC or STACK. Now the MXS is fitted with mil spec connectors its a direct competitor. Karting is where it all starts, so why not start to learn data there also. 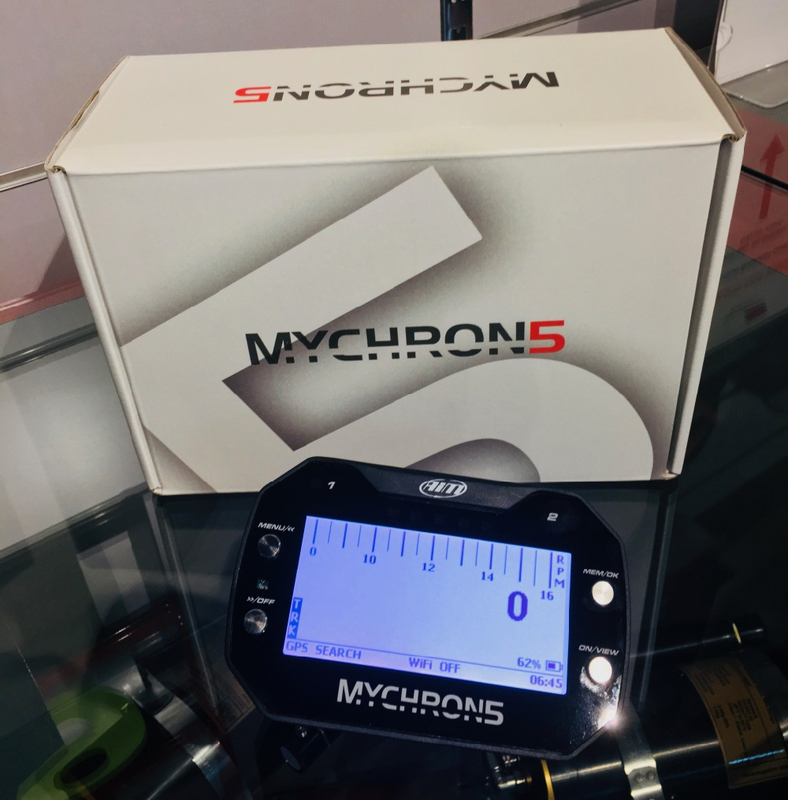 The AIM MyChron series has come along way, and the new MyChron 5 is state of the art. Using GPS, wifi, 4 axis accelerometer etc. Try new things on track, different lines, more seat stays, less seat stays etc and come back to the pits, download and really see if its making a difference.